Data Collectors from Trimble, Leica, Spectra, Sokkia, Topcon & More! especially designed for Trimble optical and GPS surveying systems*1*. specialized Windows software as needed. background maps) into the field. Access frequent functions via dedicated instrument control keys. Quickly select software options using the touch screen. is 100% cable free for unsurpassed convenience and ease of use. also provides USB and serial communication options. Bluetooth, a CompactFlash Card reader, or a USB memory device. The Trimble CU controller is rugged enough for any job in any weather. needs to know one interface. flow has never been easier. optical instruments via the Trimble CU Adapter. software. In addition, a number of regional solutions are available. your local Trimble Authorized Distribution Partner. CU controller runs the Trimble Survey Controller software. Part 15 FCC certification, CE Mark approval and C-tick approval. Bluetooth type approvals and regulations are country specific. 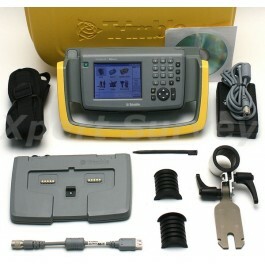 © 2010 Xpert Survey Equipment Store. All Rights Reserved.